Eduheal Foundation(EHF) is a registered non-government Organisation, headed by leading corporate heads, educationists and media doyens. EHF actively engages in searching talented school students by reaching out to approximately 4000 schools and 5 lakhs students annually. EHF is also the educational partner of Google Science Fair (GSF) and is spearheading the GSF initiative into Indian schools. It has also partnered with Bombay Stock Exchange (BSE) Institute for promoting financial literacy. 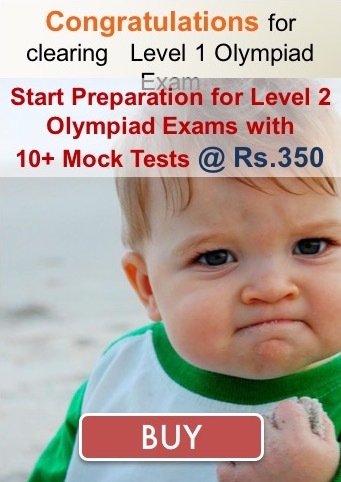 Olympiad Success provides online platform to prepare for following Olympiads organized by Eduheal Foundation. The platform consists of preparation guide, online topic-wise sample papers, mock tests and a robust monitoring system. Please visit the links above to get more details and practice papers for Eduheal Olympiads. The following awards will be provided to the winners NIMO, NISO, IEO, ICO & IGO being held during the academic year 2017-18. *Prizes based on participation in Math, Science and English. Award and Certificate of appreciation to teachers sending. The above details are updated as of 12-08-2017 from www.eduhealfoundation.org/awards.html. Please Contact us if you have any query.